You’ve purchased a plot of land that happens to include the remains of an old stone structure (home, barn, mill, what have you). Maybe the walls are still standing and the roof is intact (although it’s about to cave into the structure). Or perhaps all that remains is the rubbled outline of a barn foundation. 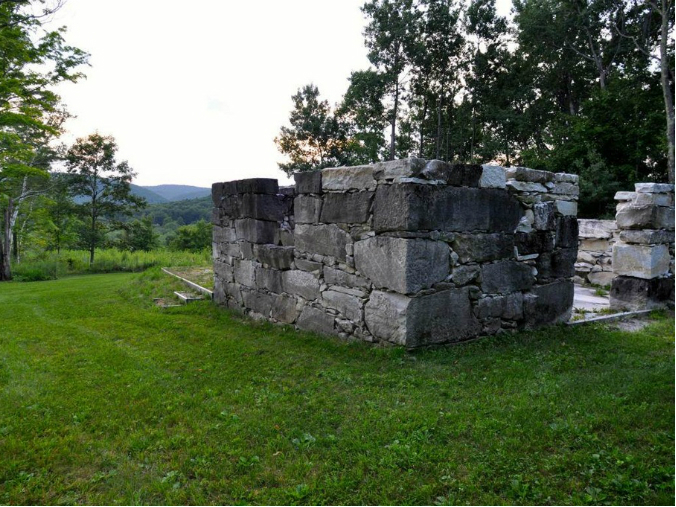 Thirty-five acre property that includes old marble structure, Alford, MA. Source: Zillow. You certainly don’t have the funds to rebuild this home (although you may desperately long to). What to do? Don’t demolish, but incorporate the remains into a brand new structure. Need some inspiration to get your creative juices flowing? Take a look at The White House, located on the Scottish Isle of Coll. A forward-thinking couple decided to shore up the walls of the abandoned stone home, and nestle their new eco-friendly home within it. The old stone walls protect the new structure from brutal winds while lending a sense of permanence to a modern structure built of locally sourced, low-impact materials. 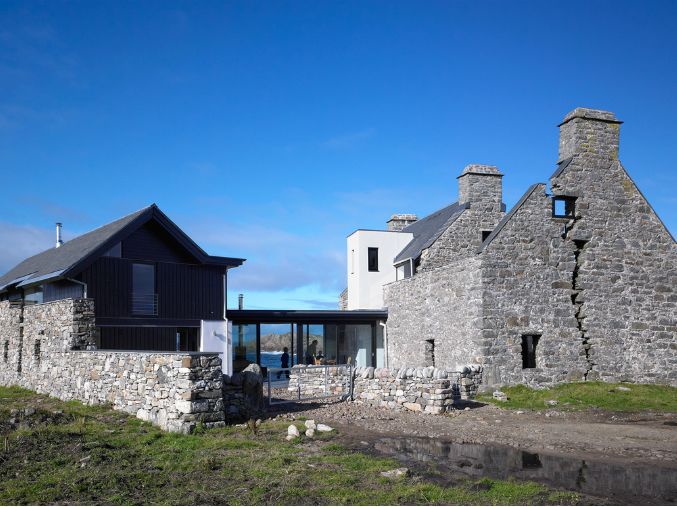 A new eco-friendly home built within the remains of The White House, Isle of Coll, Scotland. Source: Wtarchitecture.com. Springdale Farm, a circa-1837 estate located in Brinklow, Maryland, boasts European-style gardens planted within the confines of the property’s old stone bank barn, which was destroyed by fire in the 1940s. Its ruins were repointed to form the perimeter of the walled-in garden, where irises, peonies, roses, foxgloves, hybrid daylilies, baptisia, mums bloom. 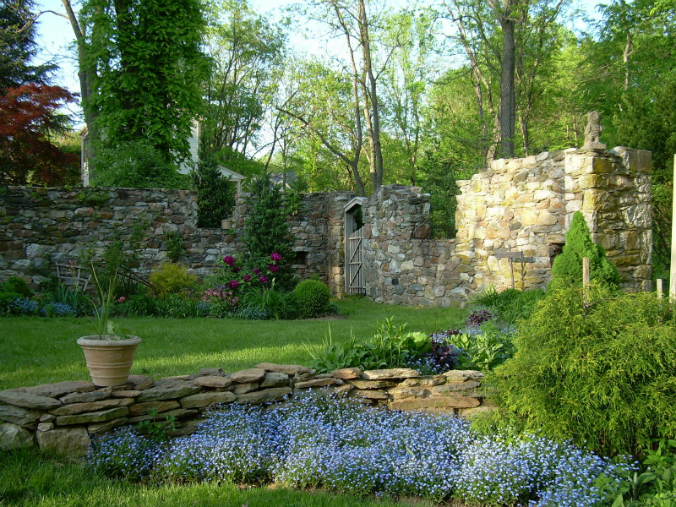 English gardens planted within remains of old stone bank barn, Springdale Farm, Brinklow, Maryland. Source: Dcmud.com. 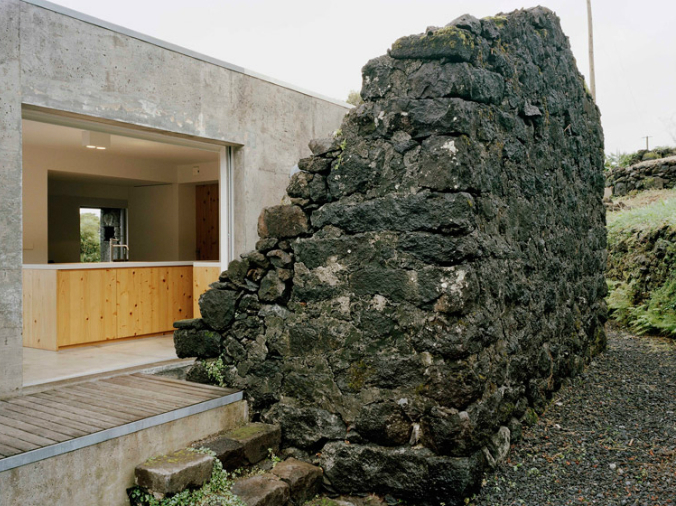 On Pico, a remote volcanic island 800 miles west of Portugal, firm SAMI Arquitectos, in an effort to save 16th-century ruins, built a two-story concrete vacation home within the basalt stone walls of a long-since-decayed home. Four bedrooms are located on the ground floor, which in the stone home housed livestock. New cement two-story vacation home built within the ruins of an old basalt stone home, Pico, Portugal. Source: Dezeen.com. Back in the states, near Baltimore, Maryland, circa-1850s buildings (formerly part of the Poole and Hunt Foundry) house apartments, condos, office space and shops in a community coined Clipper Mill. The community pool is of particular note, as it is built within the the basement area of a former machine shop. 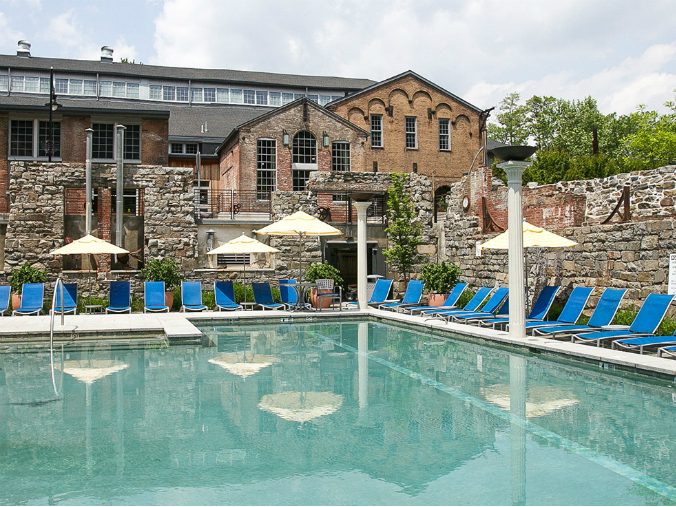 A community pool has been built within the ruins of a foundry in the Clipper Mill community, Baltimore, Maryland. Source: Thornhillbaltimore.com. Have you salvaged old stone ruins? Or have you seen an absolutely extraordinary story of old stone homes and adaptive reuse? Share with us! ← A Pro Stone President?